Decorative columns at the entrance to the Union Station in downtown Toronto, Ontario, Canada. 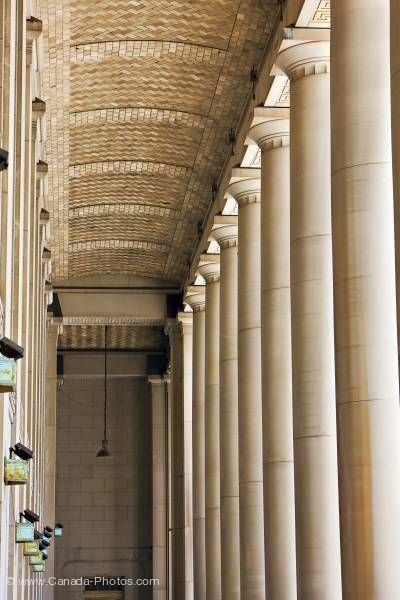 Tall round columns flank the exterior of the Union Station building in Toronto. A beautiful arched ceiling decorated with stones in a zigzag pattern set within a frame of stone is supported by the columns. A simple dentil pattern decorates the capitals of the columns.